Whatever happened to the startup? Google is a huge, unstoppable monster growing at what we might call web speed. Apple is the largest company in the world, with the cash to buy any company that takes its fancy. Amazon is the size of a small country: after the acquisition of Whole Foods, it employs more than 540,000 people. Facebook is the universal means of communication and decides if your content reaches your audience, or if you must pay to do so. With each day, the technology scene is further dominated by a relatively small set of companies, dubbed “the frightful five” by some. They began as startups, small companies built around an idea that managed to gain traction, grow, leverage and become what they are now, giants towering over the landscape. 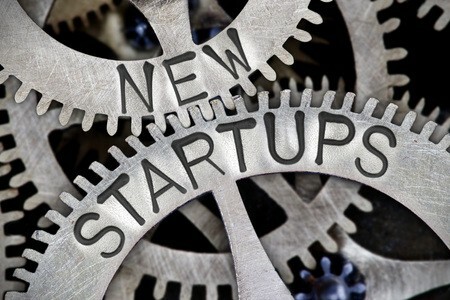 But increasingly, despite creating enormous added value and essentially driving what we have come to call progress, there is concern in some quarters that they are stifling the growth of other startups; that the age of the startup is over. Today, if a company develops a good idea, something original or groundbreaking that leads to rapid growth, it will simply be eaten up by a bigger fish, because independent development has become increasingly difficult. Companies with the resources to acquire a company that has produced something they want, and if negotiations fail, simply to replicate that something, failing as many times as necessary until they finally achieve their goal. Having economic resources is in itself no longer enough: what counts now is the ability to attract talent, the best developers, and to possess everything necessary to reach the media and guarantee that a launch gets major coverage. No matter what you do, these companies will do it better than you, even if they have to try, try and try again. Has technology become a game of giants in which small companies with new ideas no longer stand a chance? How long has it been since we saw a really interesting startup with ideas to match those that launched the big players? From the large companies that grew as the web expanded, we have moved on to another group of companies not quite so big that fed off the app ecosystem, but since then, no technology has provided a similar impetus, although there are several technologies ready to create opportunities and make a difference. Investors know this, and are putting less seed capital into initial financing rounds. Is the dynamism going out of the tech sector, or is it simply denial and fear of the giants? Is the scale necessary to compete only available to the big boys? What do we stand to lose if the potentially transformational ideas originate solely in a handful of companies? In short what chance for today’s startups compared to their counterparts of decade or two ago?